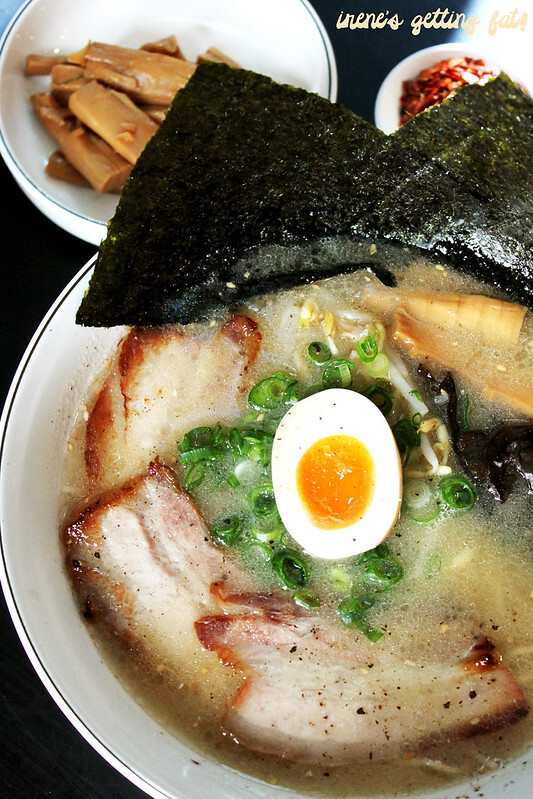 Can't get enough of ramen, can we? I don't mind it at all. Just me give another bowl. 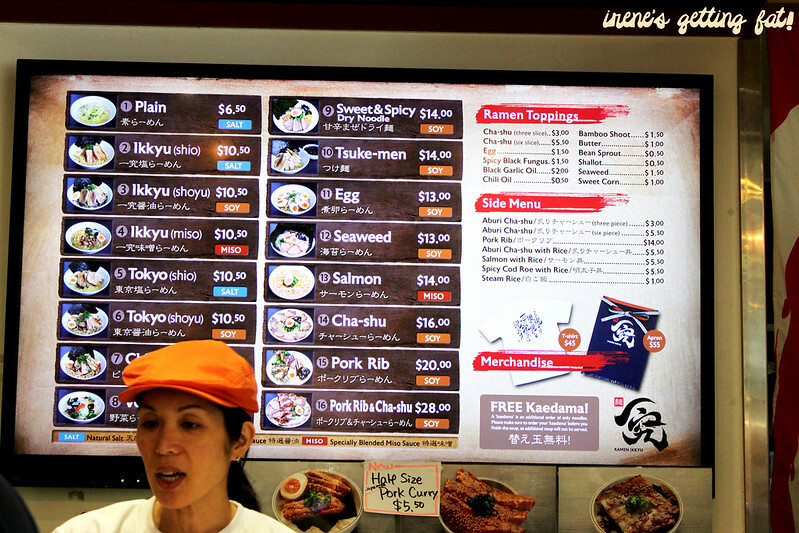 Ramen Ikkyu, steered strongly by Chef Haru Inukai (ex-Blancharu), has been serving their great bowls of ramen at the further part of Sussex Centre food court, and for me, going to the food court is even more exciting now. Apparently they have a target to sell 150 bowls of ramen everyday, and judging from the popularity, I don't think that's impossible. Unlike a few other ramen joints, Ramen Ikkyu specializes in paitan soup, which is made from chicken bones mixed with pork and vegetables. The process and combination yield a lighter soup, but still with delicious layer of oil and collagen like tonkotsu-based one. 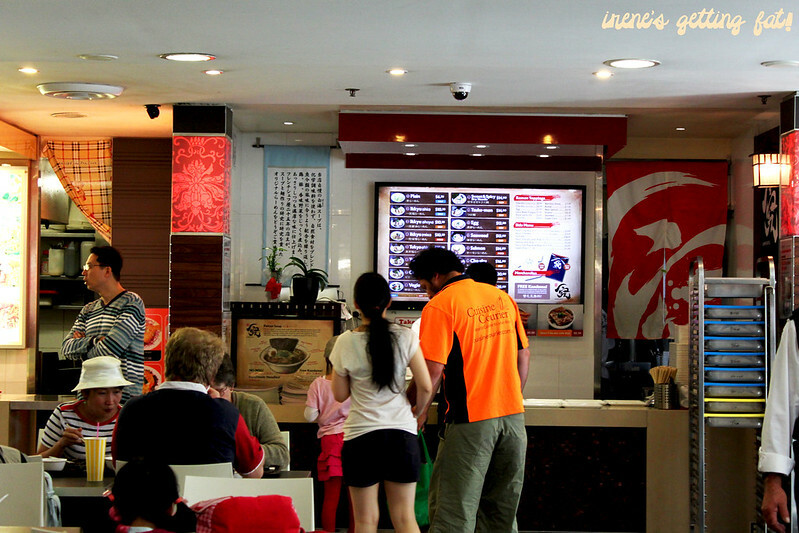 The ordering system involves touch-screen tablets, making it quite easy and practical to use. A few touches, and your order is confirmed. 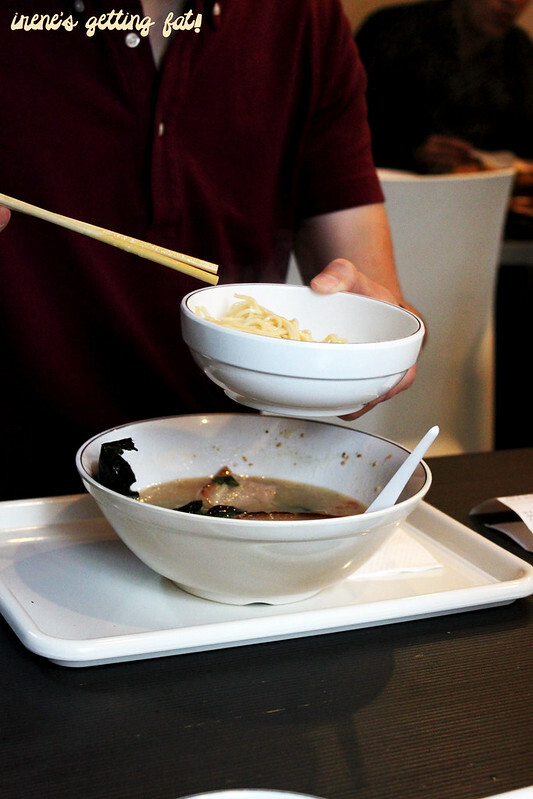 Choosing the bowl of ramen is the real challenge. Especially when they have 16 different items like this. I asked about the difference between Ikkyu and Tokyo ramen, and the answer was that the Tokyo ramen has lighter soup compared to the latter. Of course I went for the thicker one. 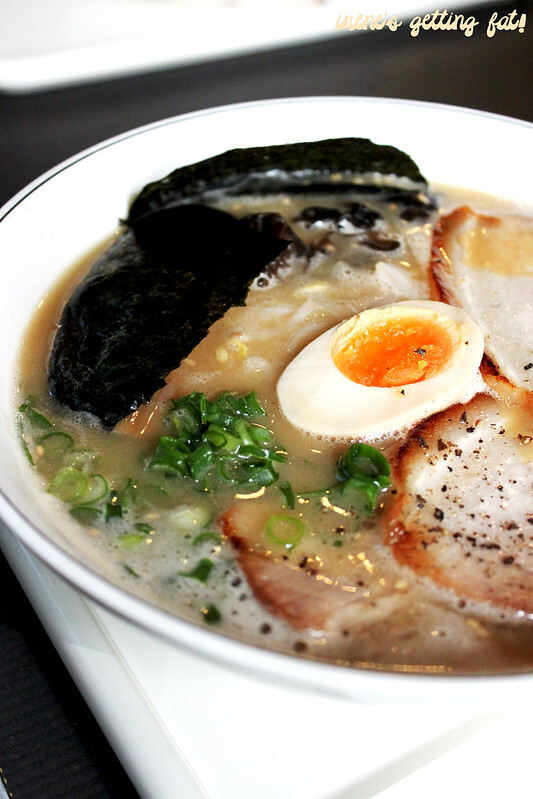 Ikkyu miso ramen has paitan broth base, with addition of miso, the seasoning that deepens the flavour of the soup. The soup is thick enough for me, and light enough for those who are not fond of thick and heavy ramen soup, I reckon. 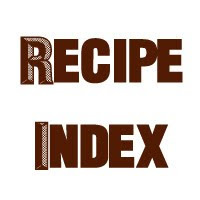 The addition of chicken does soften the intensity of the soup, yet still retaining the delicious layer of fat that lingers shortly on your lips. 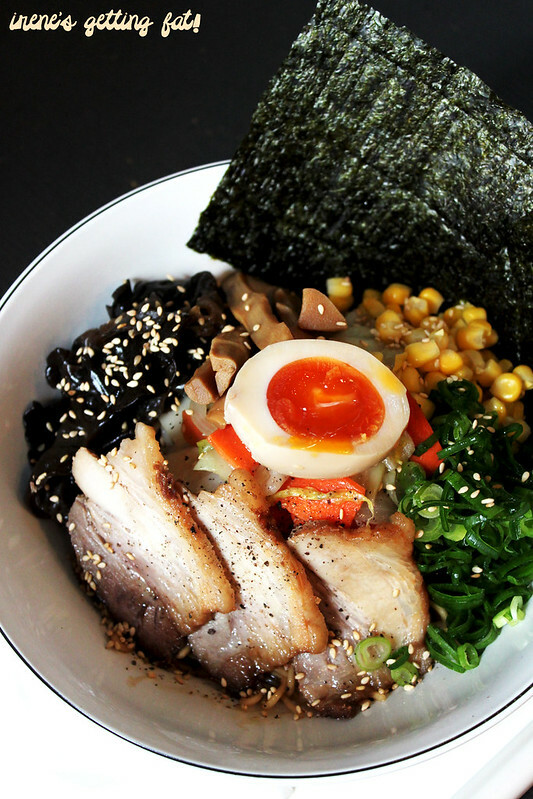 The chasu (pork belly) is faultless, and the same goes to the soft boiled egg and springy noodles. Ikkyu shoyu ramen has the same broth base, but this one is spiked with shoyu (soy sauce) that makes the soup somehow tastes lighter but unique at the same time. And definitely delicious. It is actually quite hard to determine whether I prefer the miso or the shoyu one, both are superior in their own way. 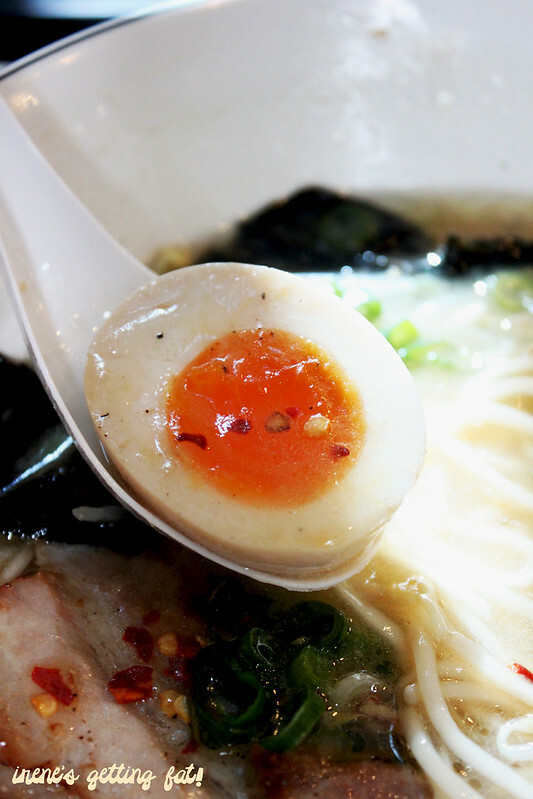 I love the thin handmade noodles that are cooked perfectly; bouncy but not too hard. And the egg. It is the egg. I don't even have to tell you how much I love this kind of soft-boiled egg, right? The reason of me ordering sweet and spicy dry noodles on the next visit was mostly inspired by Raff and his mouthwatering post. And it turned out to be one of the decisions that I will cherish for my whole life. It's dry noodles tossed with sweet and spicy sesame oil and shoyu (Japanese soy sauce), topped by mountain of toppings: stir fried vegetables that are seasoned lightly, black fungus to add some crunch, corn kernels, bamboo shoots, chopped scallion, three slices of absurdly tender pork belly, perfect soft-boiled egg, and two sheets of nori. Don't get me wrong, I love their soup and everything very much but this dry noodles is almost life-changing. 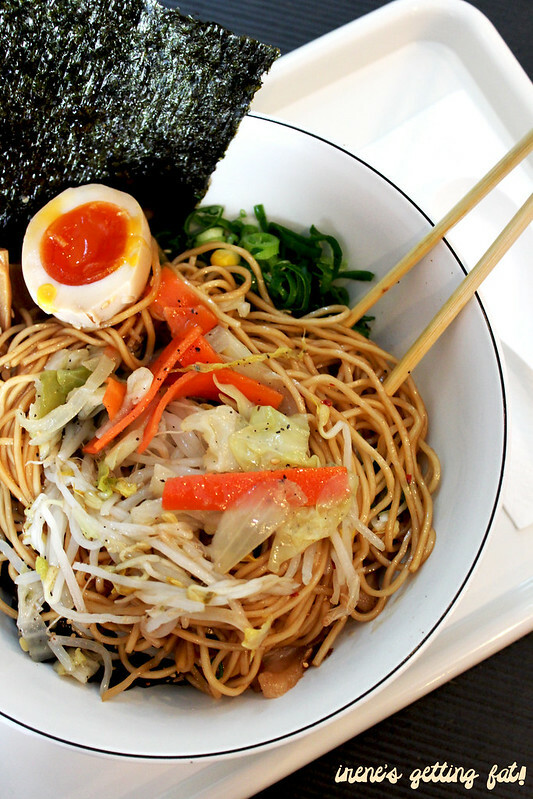 There is just so much beautiful flavour on every strand of perfectly cooked noodles, it's simply brilliant. The toppings are a group of best friends that get along together very well. I am especially fond of the pork belly and egg. A must-try, this one. 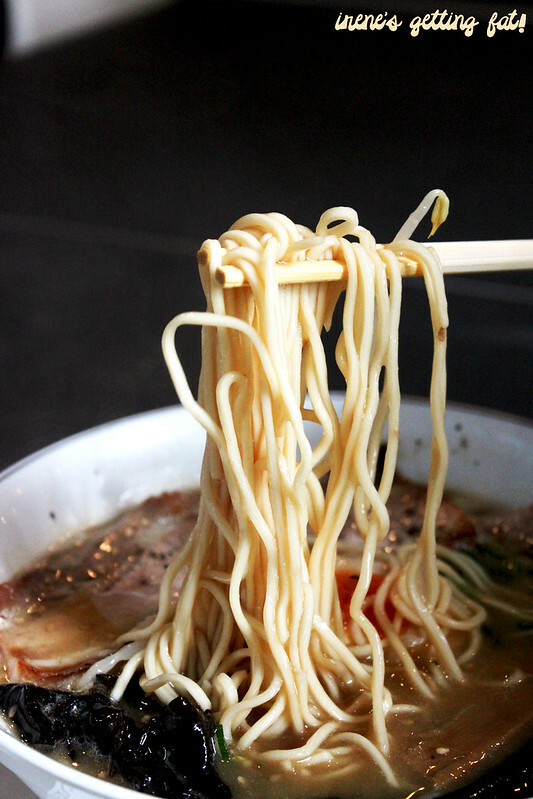 And here is another reason to love Ramen Ikkyu: one free portion of plain noodles to go with your leftover soup! The free kaedama can be obtained by simply flashing your receipt to the cashier. 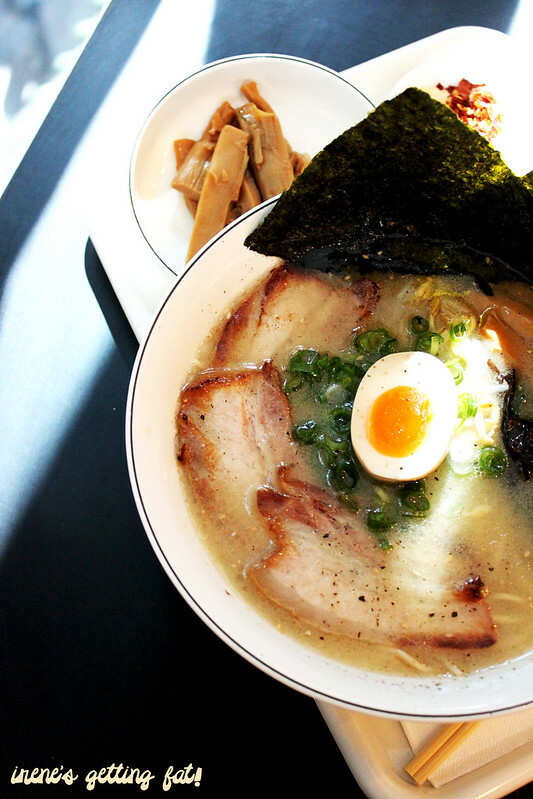 Still need another reason to visit and fall in love with this ramen joint? 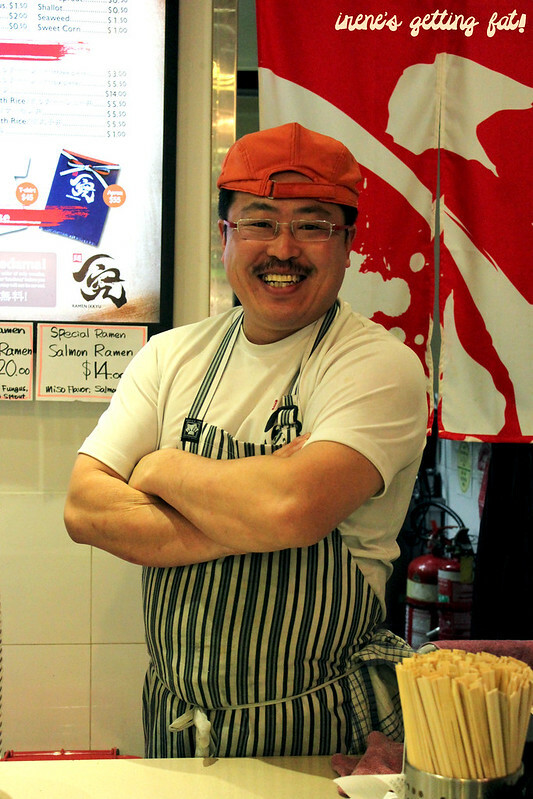 What about the super friendly and photogenic head chef slash owner, Chef Haru. He didn't even flinch when I asked his permission to take pictures and posed right away when I pointed my lens to his direction. Very lovable. 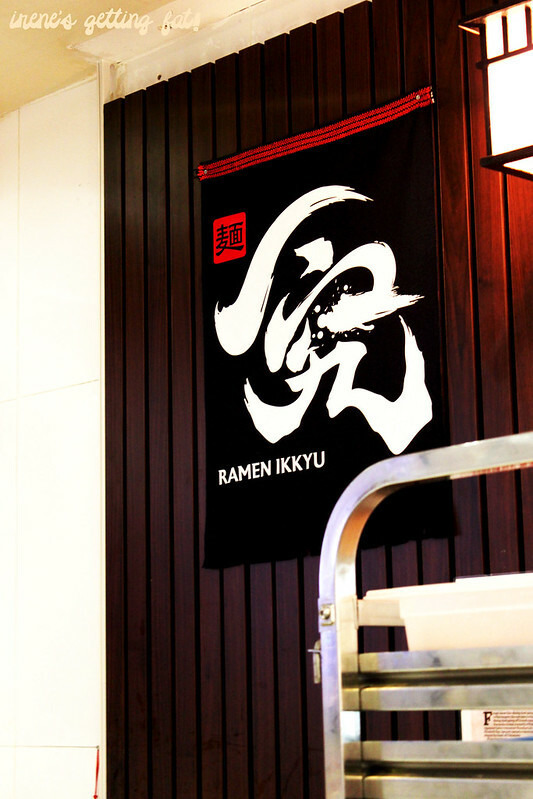 The thing is, I paid Ramen Ikkyu a visit with a friend from Fukuoka, where ramen is considered as a huge thing. When somebody who has been eating amazing bowls of ramen his entire life gives a very satisfied nod, it seems very convincing to me. 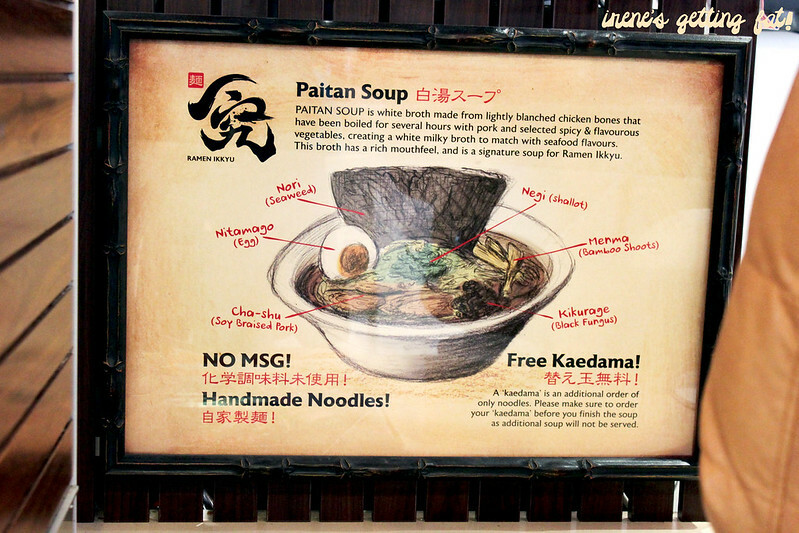 Excellent ramen and quite extensive selections to choose from (the sweet & spicy dry noodles is a must-try), helpful & friendly service, affordable price, food-court ambiance. It is super amazing.Thanks heaps to u to let me know about that! Squidgy eggs! And I like the sound of the dry noodles - will have to try this next time.